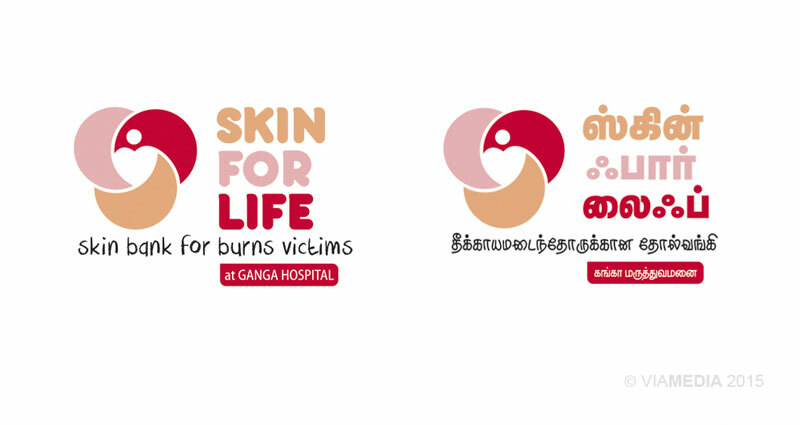 Ganga Hospital has been at the forefront of burns care since 1991 and wanted to further expand its value offering in burns care with the opening of the region's first 'Skin Bank'. 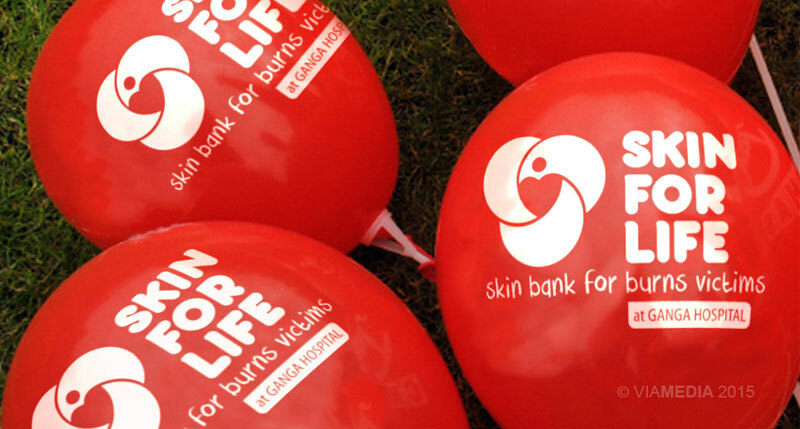 The skin bank initiative would help save the lives of many more burns victims. 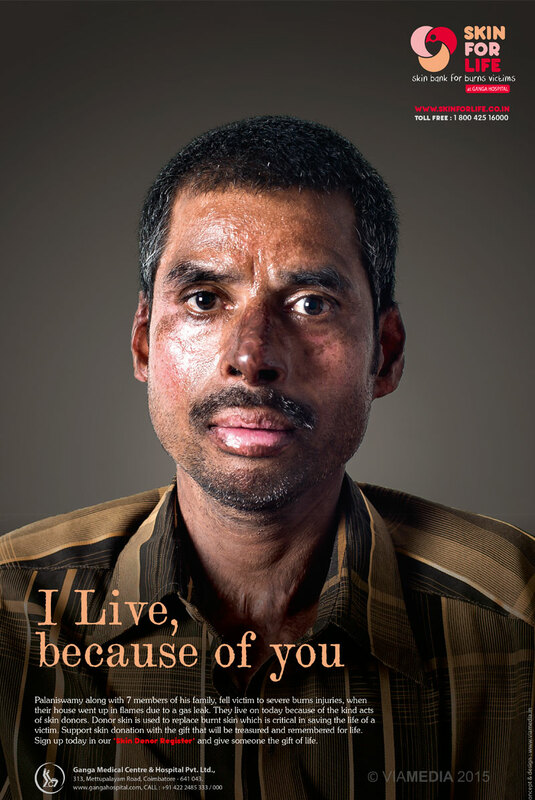 Although Tamil Nadu is India's highest donating state, awareness around skin donation is low. 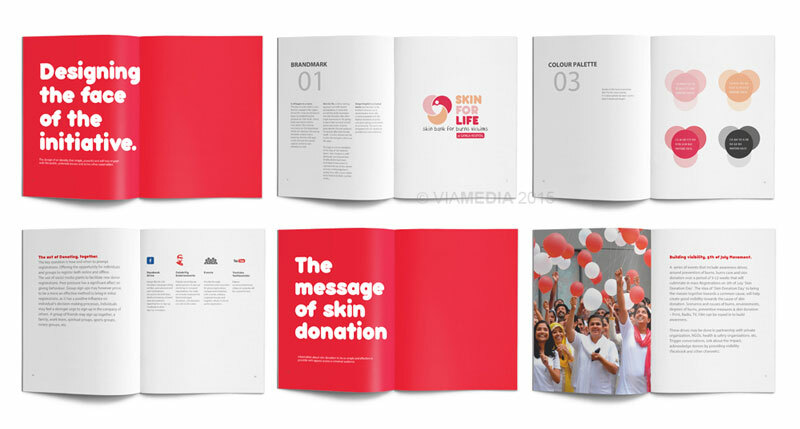 Our client was looking for thte design of a simple yet powerful identity and message that would help reach out and build momentum around skin donation with the public. A design thinking approach was used to develop communication strategies that would influence and drive action. 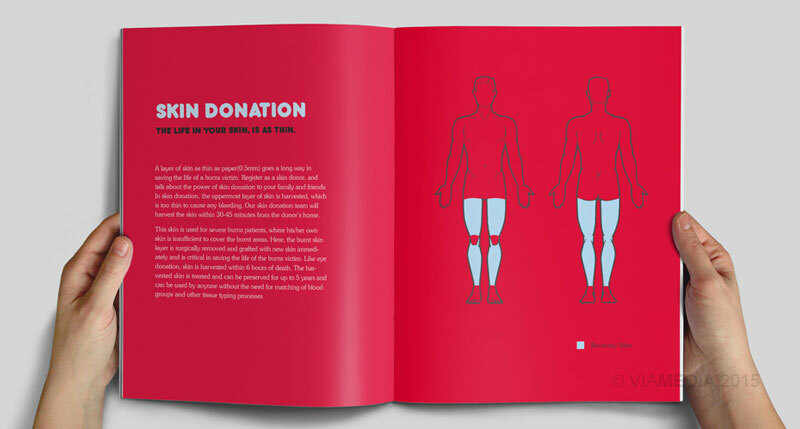 It helped explore and understand existing sentiments and how to bring the local community together in driving skin donation. As Don Bulmer puts it is critical to motivate people to action, with the design of marketing and communication that is experiential. 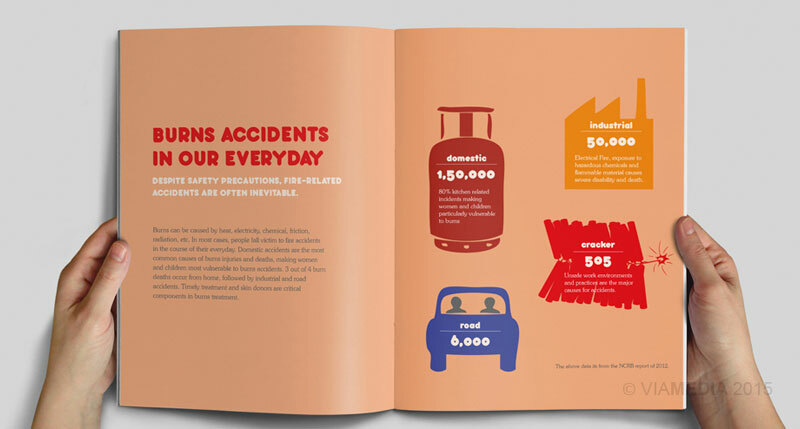 India records 70 lakh burns injury cases annually of which 1.4 lakh die every year. 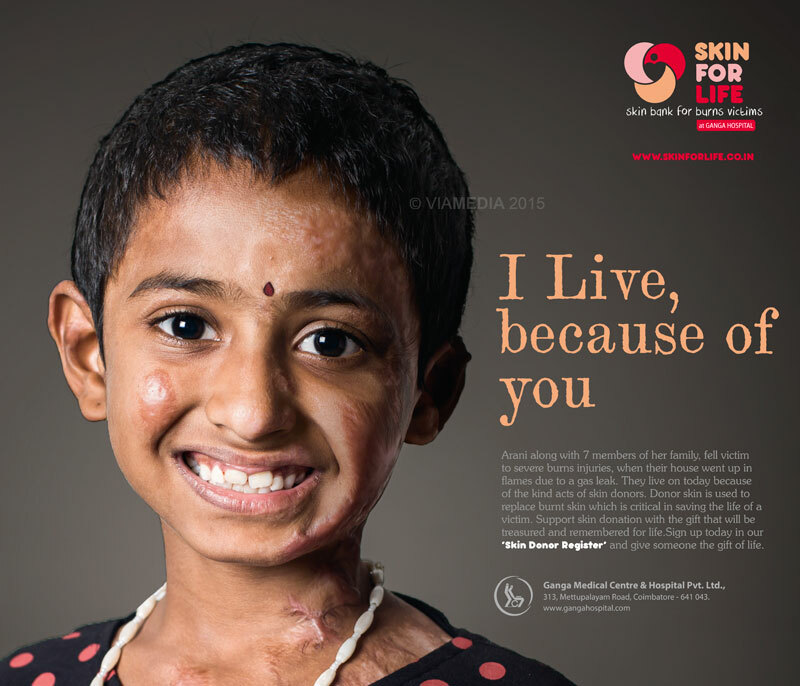 Around 70% of all burns injuries occur in the most productive age group (15-35 years) with 4 out of 5 burns cases being women and children. 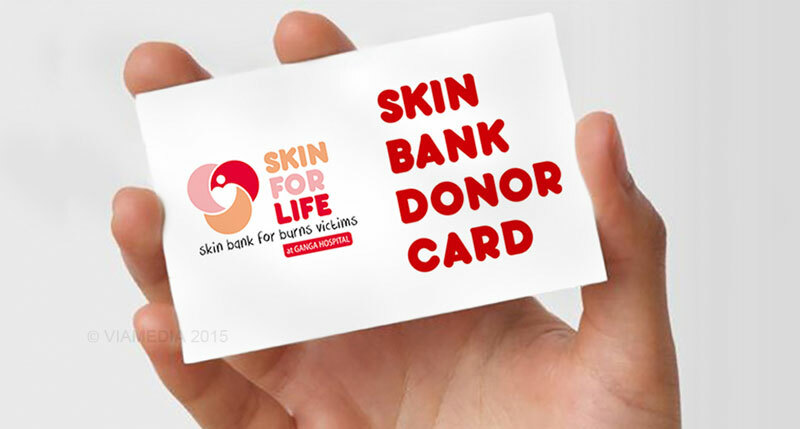 A communication activity would have to begin by establishing the purpose of a skin bank(for burns victims & burns care). Skin donation's likeness to eye donation to also help drive initial mileage. Like eye donation, it requires no legal formalities or tissue typing and is harvested within six hours after death. Skin harvested is too thin(0.5mm) to cause any bleeding or disfigurement, and is accessed by the team from non-visible areas after death at the donors home. The communication activity would aim at empowering the public with the right kind of information. Telling stories that are hard to forget. 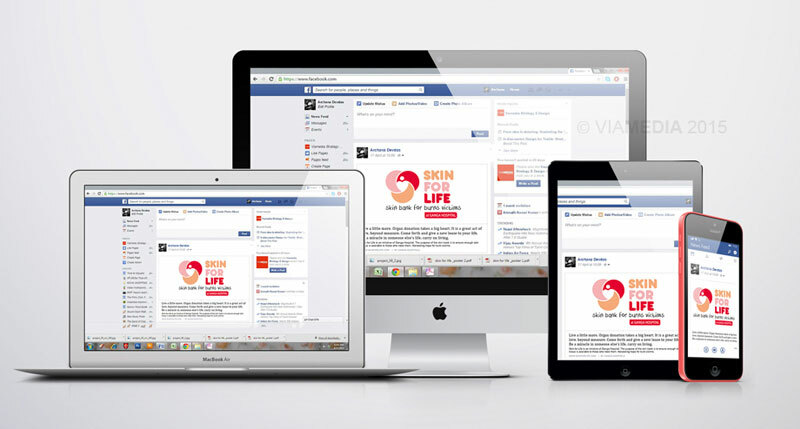 The right kind of channels and message can influence the community and break the fear and apprehension around skin donation. Quality of information and the channel through which it comes is crucial. 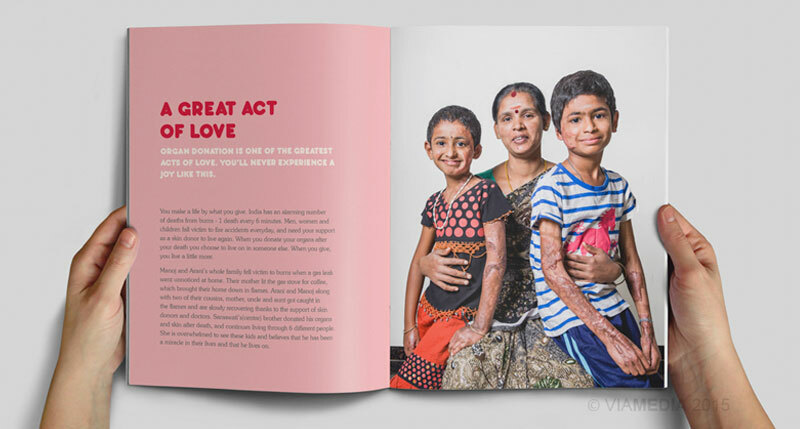 Transparent, open communication will help gain the confidence of viewers and empower them with the opportunity to save the lives of burns victims. The first-mover advantage in the region came as both an opportunity an a challenge – to have to educate. The communication activity began with the design of a identity followed by a message that would help reach out to and engage the public. The design of the identity, message and the right channels and avenues to drive 'registration'. The success of the project to ultimately be measured by the quality of engagement it is able to build with the public, with ‘registrations’ at its bottom-line. 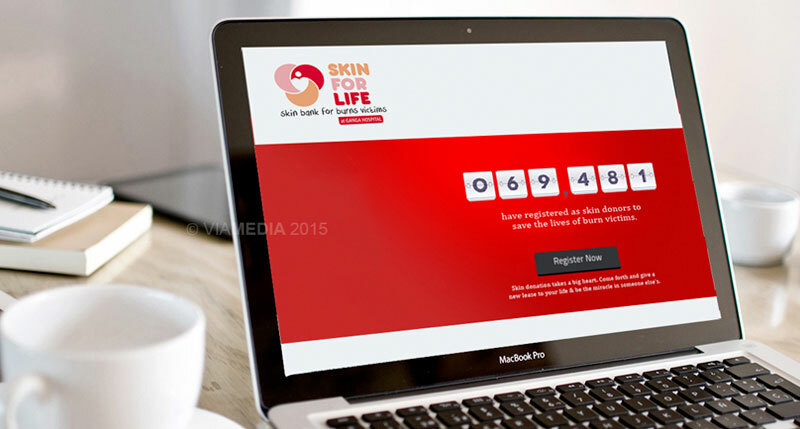 Skin for life, is a direct naming approach yet with several connotations. 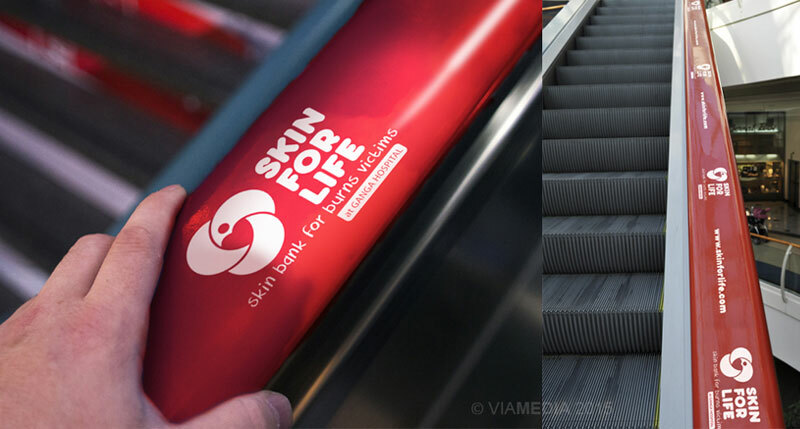 A name that directly represents a life-saving initiative, one that is inspiring, familiar with easy recall that would support and drive skin donation – Skin for Life. A name with a universal appeal across age groups and demographics, that focuses on the 'act of donation' rather than the facility 'skin bank'. Colours were influenced by pastel and skin palette. 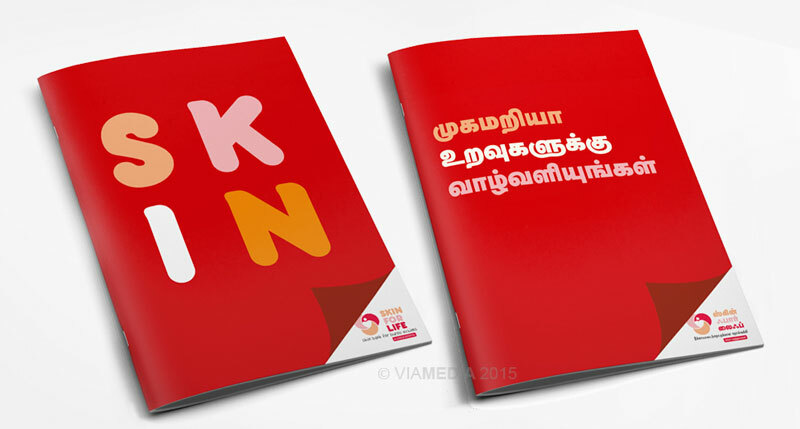 A dynamic identity was explored to cater to both english and tamil speaking audiences. 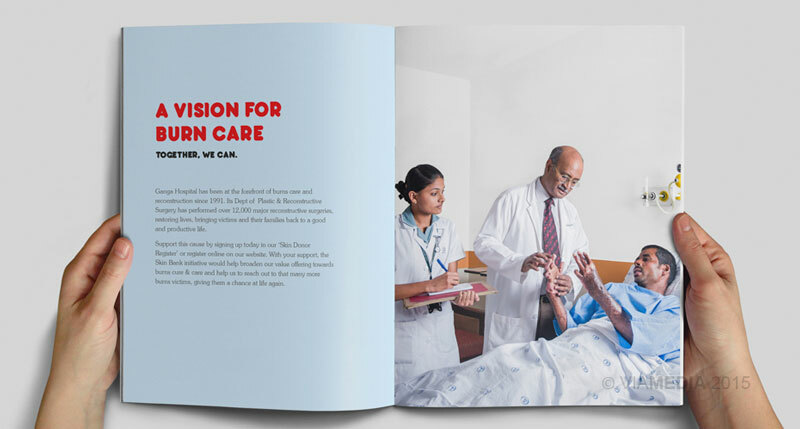 Ganga Hospital is a trusted leader and has been at the forefront of burns care & reconstruction since 1991. A name associated with the highest standards of quality care and a strong commitment to community. The name was integrated into the identity to provide the initial engagement. An opportunity to live on, Donate. Our hearts go out to people in need. Emotional messaging can move us at a fundamental level. Not to treat organ donation as a calculated decision but to ride on the 'aspirations' of a donor. An act that might give him great joy, comfort and pride, that he continues living as a miracle in someone else's life. Using a testimonial route for a higher emotional response. Data and statistics to be embedded as secondary information as larger numbers do not multiply our empathy towards a victim; on the contrary reduce our motivation to act. The Act of Donating, together. The key question was how and when to prompt registrations. Offering the opportunity for individuals and groups to register both online and offline. 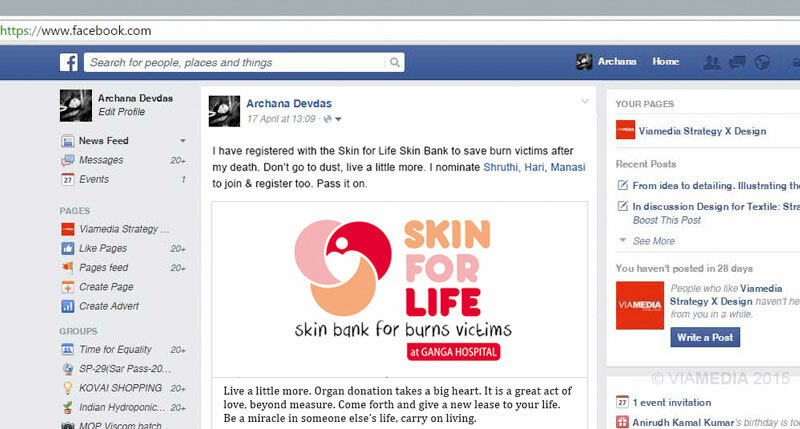 The use of social media giants to facilitate new donor registrations. Peer pressure has a significant effect on 'giving behaviour'. Group sign ups may however prove to be a more an effective method to bring in initial registrations, as it has a positive influence on individual’s decision-making processes. Individuals may feel a stronger urge to sign up in the company of others. A group of friends may sign up together, a family, work team, spiritual groups, sports groups, rotary groups, etc. Organ donation is a culture. 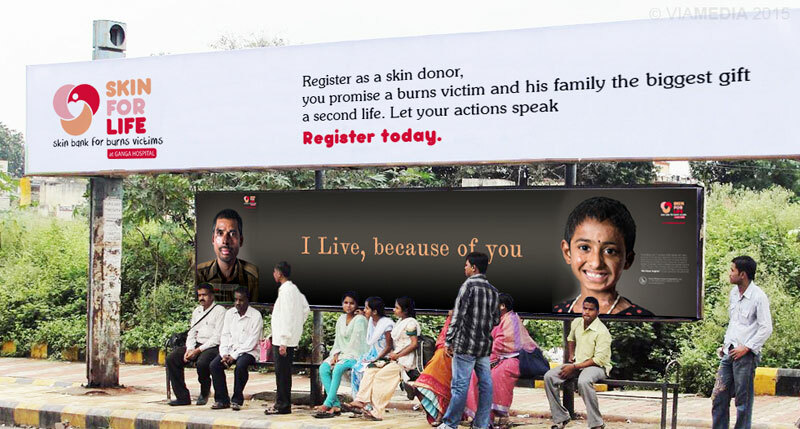 It takes confidence, trust and the right attitude to be able to register for skin donation. The awareness drive to be able to create an environment that empowers the public with the confidence to sign-up spontaneously.